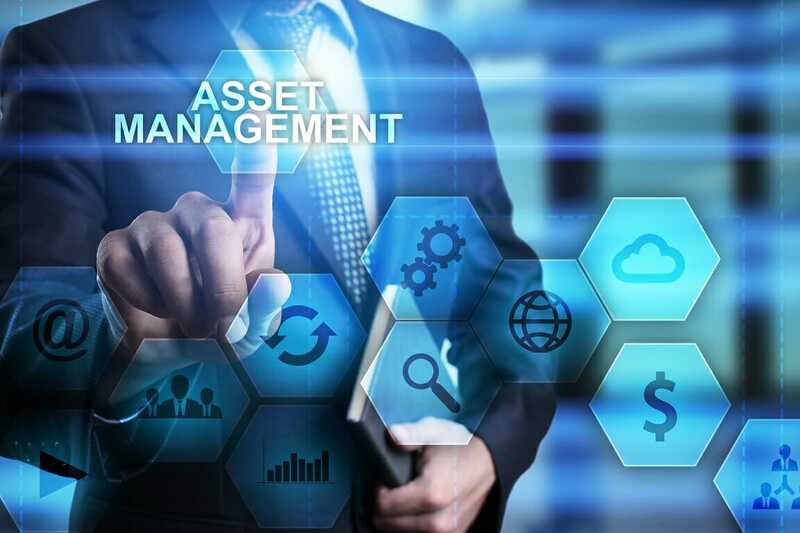 Asset management is the process of developing, operating, maintaining, and selling assetsTypes of AssetsCommon types of assets include: current, non-current, physical, intangible, operating and non-operating. Correctly identifying and classifying the types of assets is critical to the survival of a company, specifically its solvency and risk. An asset is a resource controlled by a company which future economic benefit in a cost-effective manner. Most commonly used in finance, the term is used in reference to individuals or firms that manage assets on behalf of other entities. Every company needs to keep track of its assets. That way, the relevant stakeholdersStakeholderIn business, a stakeholder is any individual, group, or party that has an interest in an organization and the outcomes of its actions. Common examples of stakeholders include employees, customers, shareholders, suppliers, communities, and governments. Different stakeholders have different interests, and companies often will know just what assets are available and what can be used to provide optimal returns. The assets owned by any business fall into two main categories: fixed and current assetsCurrent AssetsCurrent assets are all assets that can be reasonably converted to cash within one year. They are commonly used to measure the liquidity of a company. A company’s assets on its balance sheet are split into two categories – current assets and non-current assets (long-term or capital assets).. Fixed or non-current assets refers to assets acquired for long-term use while current assets are those that can be converted into cash within a short amount of time. When it comes to asset management, there are two main things that individuals are interested in knowing. One, what role does the asset management process play? Two, how can a firm develop a good asset management plan? The process makes it easy for organizationsTypes of OrganizationsThis article on the different types of organizations explore the various categories that organizational structures can fall into. Organizational structures to keep track of their assets, whether liquid or fixed. Firm owners will know where the assets are located, how they are being put to use, and whether there are changes made to them. Consequently, the recovery of assets can be done more efficiently, hence, leading to higher returns. Since assets are checked on a regular basis, the process of asset managment ensures that the financial statements associated with them are kept updated. Asset management encompasses the identification and management of risks that arise from the utilization and ownership of certain assets. It means that a firm will always be prepared to counter any risk that comes its way. Instances exist where lost, damaged, or stolen assets are still recorded on the books. With a strategic asset management plan, the firm’s owners will be aware of the assets that have been lost and, thus, not keep recording them in the books. Asset ownership is part of any public or private enterprise. To manage the assets effectively, a firm owner needs to develop a strategic plan. If a business owner wants his asset management plan to be precise, then he should calculate the entire life-cycle costs of each asset. Many company owners make the mistake of calculating only the initial purchase costs. During the asset’s life cycle, additional costs are likely to come up such as maintenance expenses, condition and performance modeling, as well as disposal costs. After computing the life-cycle costs, the next step is to set levels of service. Put simply, it means outlining the overall quality, capacity, and role of the different services that the assets provide. In doing so, a firm’s owner can then determine the operating, maintenance, and renewal activities needed to keep the assets in good condition. Ideally, the asset management process that a firm owner adapts should easily translate into long-term financial plans. With a good financial plan in place, the owner can then assess which objectives are feasible, and which ones need to be prioritized. By keeping tabs on a company’s assets throughout their life cycle, a firm owner can improve their technique of acquiring and using the assets. A good case in point is Cisco Systems, which was able to reduce costs by executing PC asset management. When implementing such a strategy, the company discovered wasteful purchasing practices, which it solved by developing a better strategy for buying the equipment needed by workers. Government agencies, non-profit organizations, and companies are required to provide comprehensive reports on how they acquire, utilize, and dispose of assets. To ease the reporting process, a majority of them record their asset information in a central database. In such a way, when they need to compile the reports at the end of their financial year, they can easily access all the information they need. Asset management is simply a system that helps companies keep track of all their assets, such as vehicles, equipment, and investments. Keeping tabs on the assets helps streamline operations, especially in relation to their sale or disposal. The process also minimizes the chance of recording ghost assets since all the available assets are well accounted for.